In Porcelanosa, good design is an attitude. Innovation, technology, aesthetic and functionality are the leitmotiv of each ceramic piece, like those included in PAR-KER. The ceramic parquet that combines design, lightness and sustainability. 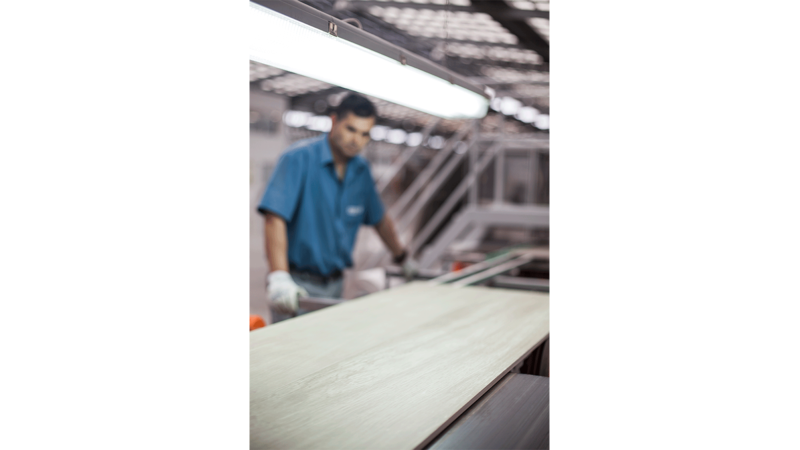 The production of PAR-KER, from its conception to its execution, counts on sophisticated manufacturing processes that allow for a solid and unalterable ceramic parquet to be made, which stands up to daily challenges. 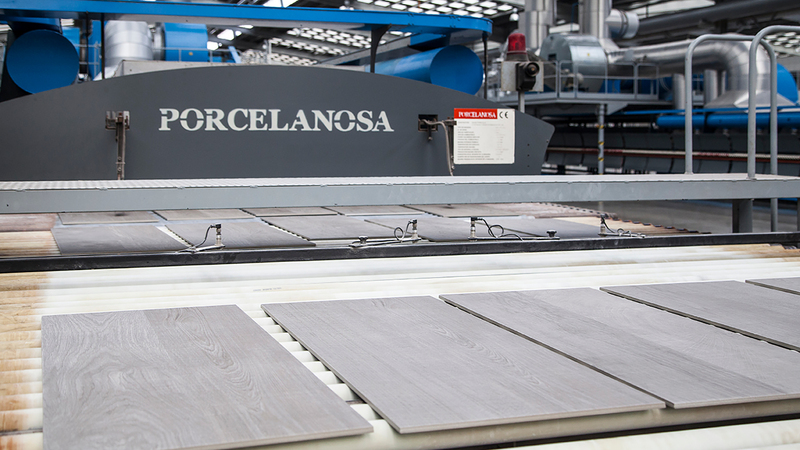 Porcelanosa applies the latest technological advances in PAR-KER, a resistant porcelain tile that requires no maintenance. Technical qualities which give comfort, tranquillity and a carefree feeling to the user. The combination of raw materials with nanotechnology has made PAR-KER focus on what is imperceptible and minuscule alike. 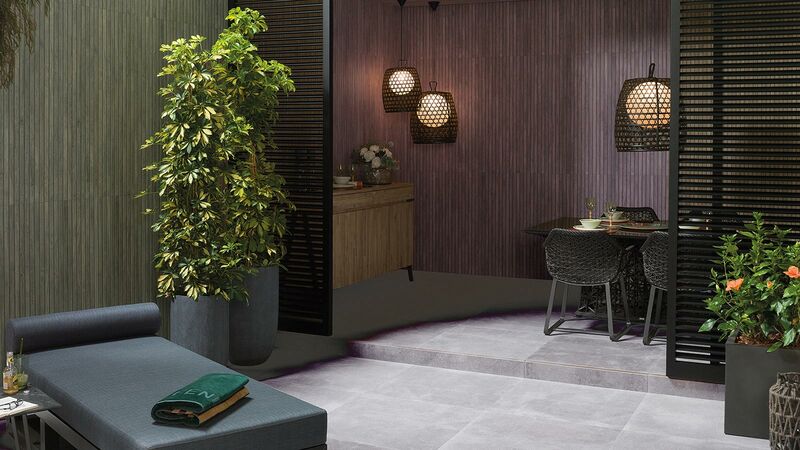 Hence, each of its molecules make this product a unique porcelain tile with the look and warmth of wood. 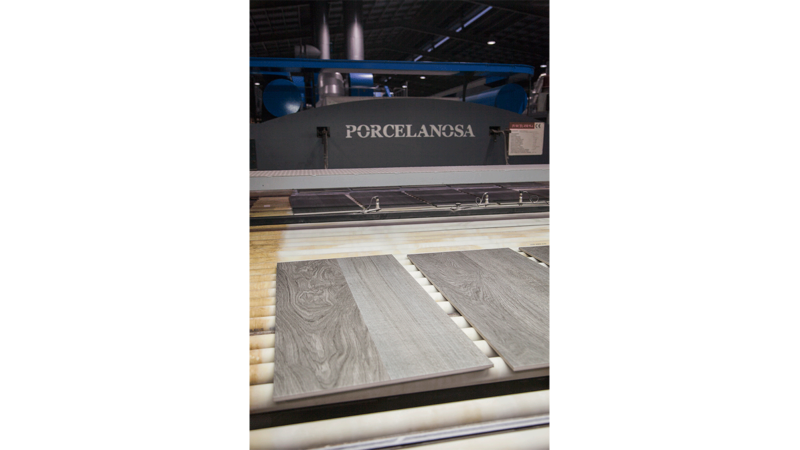 Its non-slip properties are achieved through an innovative process that takes place before it is fired in the kiln. The pulverisation of tiny crystals on the piece with liquid has allowed for a non-rough and non-slip flooring to be developed. Safe, hygienic and very easy to clean. The main emblem of sustainability is PAR-KER Forest, which consists of 95% recycled material, as well as generating 40% less CO2. The naturalness that the PAR-KER designs transmit lies in its graphics that reproduce every detail of natural wood. To achieve this result, global analyses performed on different trees in the world are compared, and from there, the veins and unique drawings that arise from spectral scanners are extracted. To obtain these reliefs, no grains are used in the enamel, but soluble serigraphs, which are engraved and then polished without the piece being scratched. At this point, designs are outlined and imperfections from the original pieces of wood are discarded, with which between 30 to 40 different graphics can be generated. All of them are presented in two different widths for three formats: 90cm, 120cm, 180cm; so that its installation is more realistic and closer to natural wood. Once the designs are done, printing is carried out. It is a process in which pure and quality enamels are used, where, all the scratch and resistance control demands are met as well. 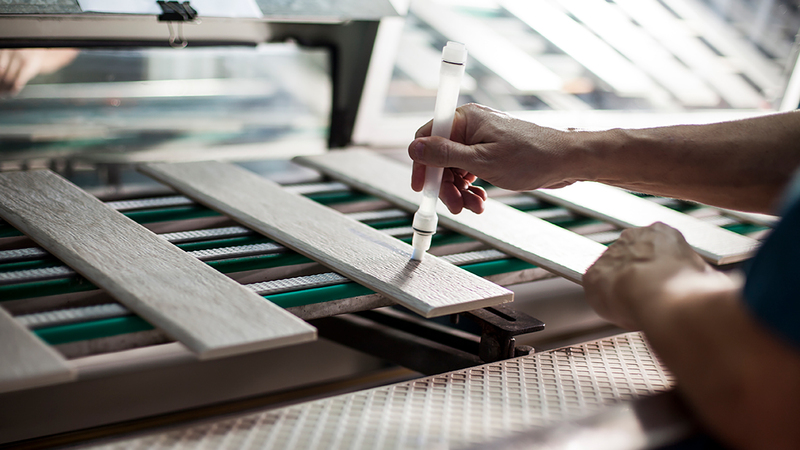 Due to the latest inkjet printing technology, it is possible to create pieces with little relief and with a lot of visual depth through different intensities. The serigraphs, the combination of lights and shadows, and the applied technology, allow for having a greater storage capacity and data processing in the enamelling. A fact that has provided a wider range of graphics looking for their uniqueness. PAR-KER colours and finishes have matt enamels that make it more resistant and give it a natural sensitivity. Its rectified format without joints enhances the “natural wood” effect. 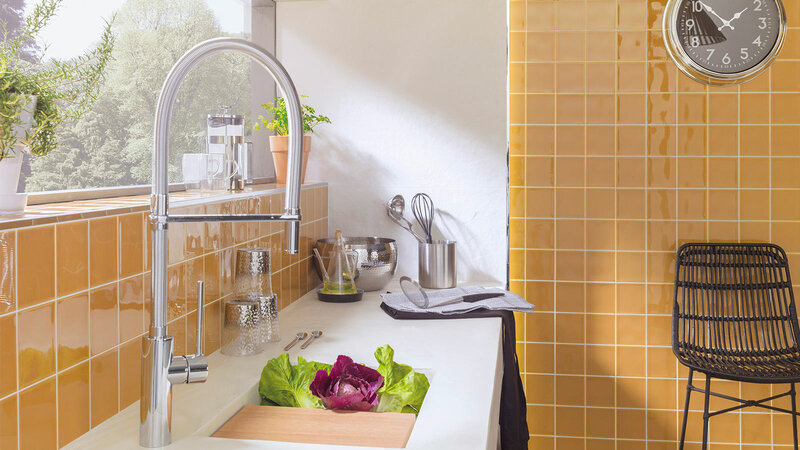 Realism that is achieved through the Porcelanosa manufacturing process and it guarantees colour balance in each edition. The pieces are verified through the ISO 9000 standards that subject this material to the wear and tear of everyday life. Quality standards and quality management established by the International Organization for Standardisation (ISO). 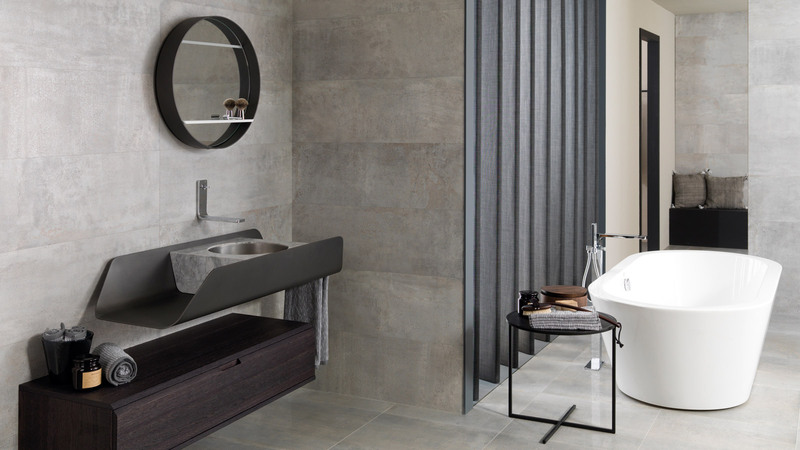 In addition to being regulated by these standards, PAR-KER also acts in accordance with the Porcelanosa quality standard. Each of the analysed pieces is subjected to a more exhaustive control than that set by the regulations. Among them: traffic, water and abrasion tests. A ceramic parquet resistant to daily challenges.